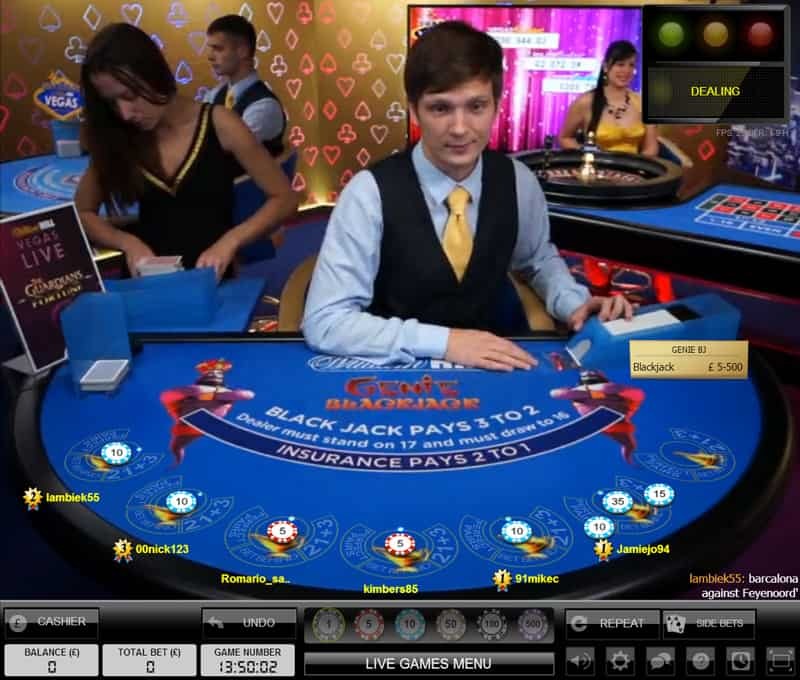 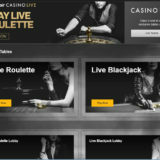 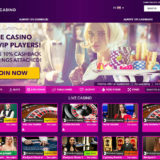 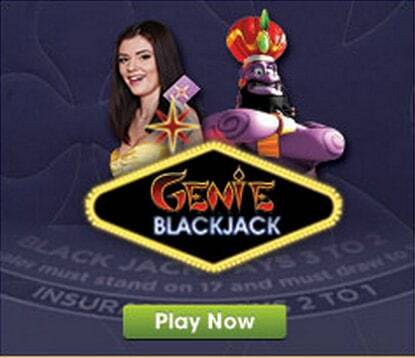 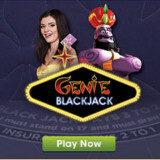 William Hill have launched yet another new dedicated table, Genie Blackjack at their Evolution Live Casino. The theme is Genie and the table is located in the Vegas area of their live casino. 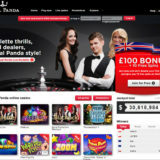 Table stakes range from £5 to £500 a hand and you have the option of the 3 side bets, Pairs, Bet Behind & 21+3.